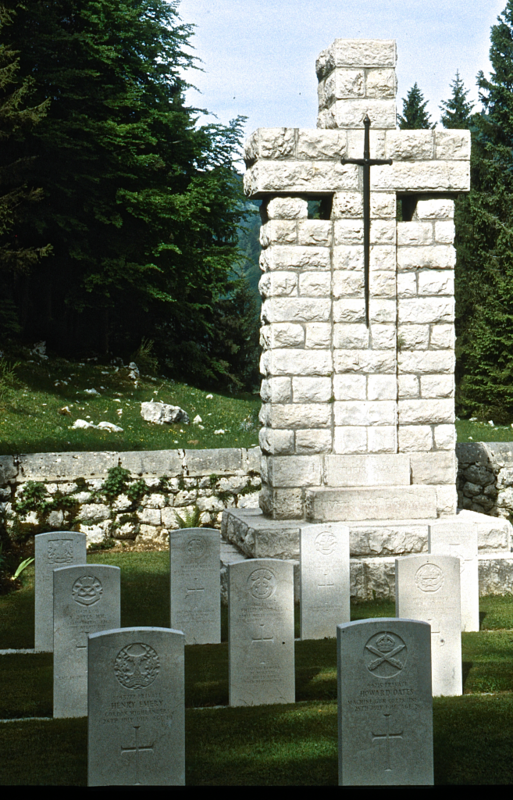 The Cemetery is 12 kilometres south of Asiago (in the province of Vicenza, Veneto region), 9.5 kilometres north west of Lusiana and 45 kilometres from Vicenza in the commune of Calven. From Asiago take the SP72 in the direction of Bassano, following the signs to the hospital. 0.7 kilometres after the hospital take a right turn, signposted to Barenthal, Granezza and Cavalletto cemeteries. After 300 metres, take the first left turn then a right turn after 100 metres. Barenthal Military Cemetery is on the left, after a distance of 1.8 kilometres. Continue for a further 700 metres and take the left fork in the road. After 2.5 kilometres Granezza British Cemetery will be seen on the left. Continue on for a further 400 metres then take a right turn, sign posted to the cemetery and continue for a further 2.6 kilometres. 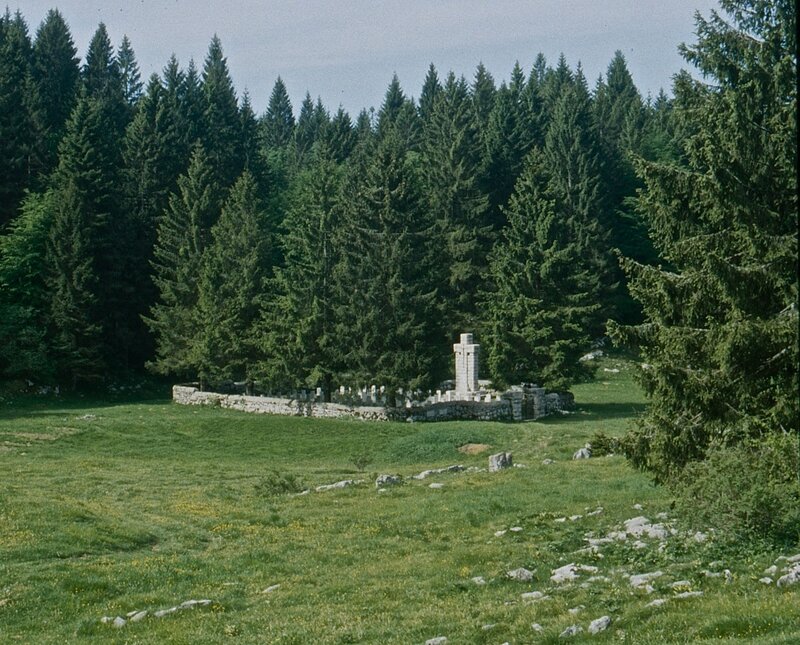 The cemetery is located in open countryside, down the hill from the Rifugio Verdefonte. Access is very difficult as the ground underfoot is uneven. Visitors are advised to proceed with extreme caution. Cemetery address: Via Monte 36030 Calverne VI. GPS Co-ordinates: N 45.799845, E 11.510324. The cemetery is permanently open. Please note however that from November to May it is rarely accessible due to deep snow falls. The entry to the cemetery is via a very rough, steep and slippery terrain of 250 metres. The location/design of this site makes wheelchair access impossible. The Italians entered the war on the Allied side, declaring war on Austria, in May 1915. Commonwealth forces were at the Italian front between November 1917 and November 1918. 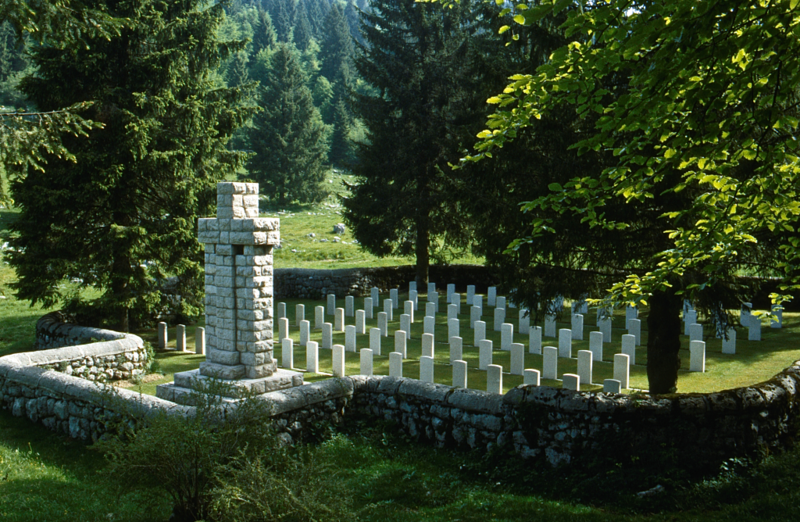 In March 1918, XIV Corps (the 7th, 23rd and 48th Divisions) relieved Italian troops on the front line between Asiago and Canove, the front being held by two divisions with one division in reserve on the plain. The French held the line to the left, with the Italians to the right. The front was comparatively quiet until the Austrians attacked in force from Grappa to Canove in the Battle of Asiago (15-16 June 1918). The Allied line was penetrated to a depth of about 1,000 metres on 15 June but the lost ground was retaken the next day and the line re-established. Between June and September, frequent successful raids were made on the Austrian trenches. In October, the 7th and 23rd Divisions were sent to the Treviso area of the River Piave front. The 48th Division, which remained in the mountains as part of the Italian Sixth Army, played an important part in the Battle of Vittorio Veneto (24 October-4 November 1918) in which the Austrians were finally defeated. 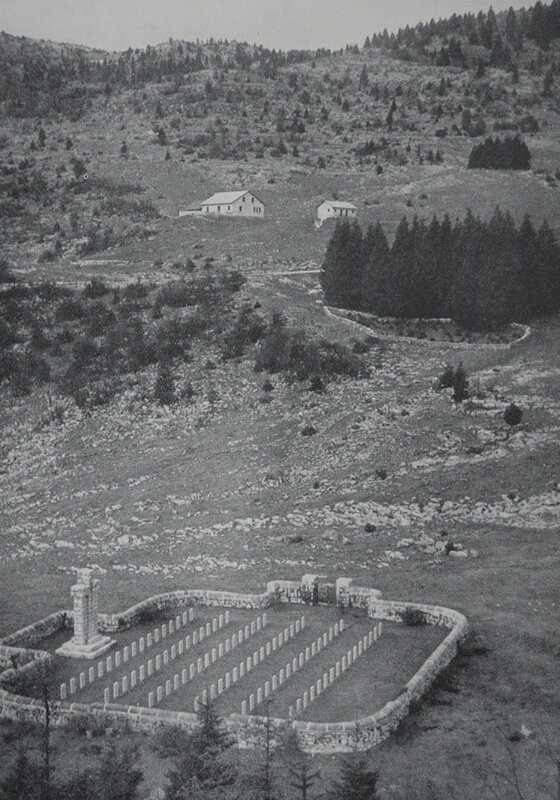 Mount Cavalletto was the site of an advanced operating station where urgent cases from the front were treated, as the journey from the mountains to the main hospitals on the plain was long and difficult. Cavalletto British Cemetery, one of five Commonwealth cemeteries on the Asiago Plateau containing burials relating to this period, contains 100 First World War burials. 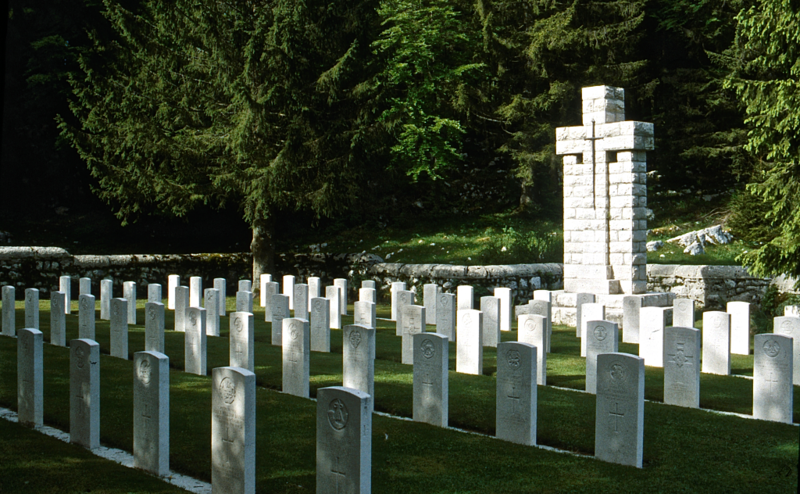 Some of these graves were brough in after the Armistice from Monte di Sunio British Cemetery, Caltrano.